This backpack is Bradley Mountains proudest creation. Each bag is handmade in San Diego, and has been put through a tremendous amount of care and testing. 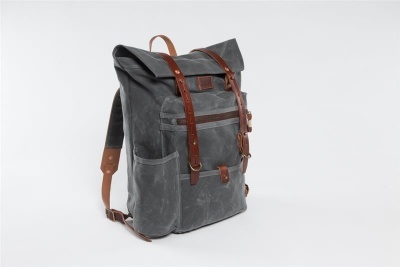 This bag was first designed as a one-off travel bag which Tyler Axtell took to Switzerland and Italy. This bag served as his only piece of luggage. After seeing how well it held up they decided to add it to the line up.